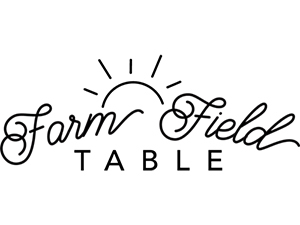 Why Choose Farm Field Table - A Hyper Local Butcher Shop? We only work with small local farms so we know what our animals eat. We prefer grass fed grain finished cattle for the optimal blend of nutrients and flavor. Not to mention MI has some of the best farmers in the country and MI grows incredible beef, heritage pork, lamb, and poultry. Forget the Midwest, MI has you covered. Quality first - We have a track record of culinary excellence. We competed on Food Network's 'Chopped' and won with heritage pork. We keep our hands full with our family farm that raises Mulefoot and Magnilista hogs and an award winning farm to table restaurnt called The Mulefoot Gastroub. Quality is our number one priority. That's why we carry wagyu beef, mulefoot heritage pork, and free range chicken. We dry age all of our beef to perfection for maximum flavor. Whole Animal Butcher - We have it all. We have every cut in-house. We are taking back the craft of butchery. We know where every piece of our ground burger comes from, and it's from a single steer vs. big industrial meat companies who are comfortable with combining a large number of animals together in your burger. We invite you to try our products at a discount. See the gift card offer below for a 50% off discount by using code FREE50 at checkout. We think it's a perfect way to support local food and support your wallet in the process. Thank you to all of our loyal customers who support local food and thank you for reading our blog.